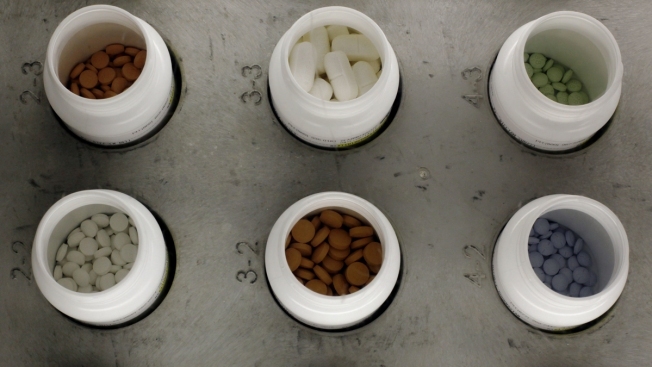 In this June 14, 2011, file photo, various prescription drugs on the automated pharmacy assembly line at Medco Health Solutions in Willingboro, N.J. Medicare recipients cut back on pricey brand-name drugs but they still had to spend more on such medications anyway, according to a government report that blames rising manufacturer prices for squeezing older people and taxpayers. 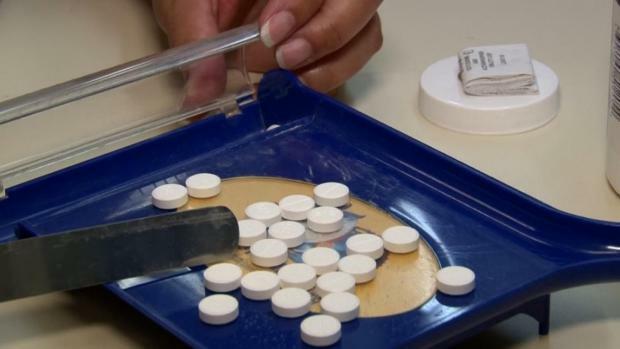 The Health and Human Services inspector general's office says it found a 17 percent drop in the overall number of prescriptions for brand-name medications under Medicare's "Part D" drug program over a recent five-year period. But beneficiaries' costs for branded drugs went in the opposite direction. From 2011 to 2015, their share of annual costs rose by 40 percent, from $161 in 2011 to $225 on average. Data for 2011-2015 were the most recent available for the analysis. Drugmakers raised prices more rapidly for the most commonly used brand-name medications, with the highest demand among Medicare patients. Average costs for the 200 drugs with the most prescriptions in 2015 rose at nearly double the rate of increase for branded drugs as a whole. The share of Medicare enrollees spending $2,000 a year or more of their own money for brand-name drugs nearly doubled over the five years studied, reaching 7.3 percent in 2015. Total program spending for brand-name drugs increased by 77 percent from 2011 to 2015, from $58 billion to $102 billion. That statistic is a measure of taxpayers' growing exposure. Rebates paid by manufacturers didn't seem to make a huge dent in costs. After accounting for rebates, Medicare reimbursement for branded drugs still increased by 62 percent. That was the case even though total rebates more than doubled, from $9 billion in 2011 to $23 billion in 2015.